The leaders of Catholics from 11 countries say corporations, like citizens, have a moral duty to pay their fair share. The Primate of All Ireland, Sean Brady, is one of 11 signatories on the letter to the G8 leaders. LEADING CATHOLIC BISHOPS from 11 countries, including Ireland, have urged the leaders of the G8 nations to use their meeting this month to clamp down on tax avoidance by multinational corporations. The leaders of the eight countries – the UK, the US, Canada, France, Germany, Italy, Russia and Japan – are meeting in Fermanagh in two weeks’ time, with aggressive tax avoidance and tax evasion likely to feature high on the agenda. 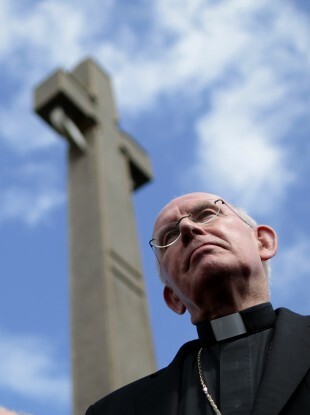 In a letter to the eight leaders, the leading bishops from Ireland and the participant nations said the Catechism of the Catholic Church determined that individuals were morally obliged to pay taxes and to submit to authority. “It is a moral obligation for citizens to pay their fair share of taxes for the common good,” they wrote, arguing that the same logic applied to corporate bodies. States had an obligation to provide “a reasonable and fair application of taxes” with “precision and integrity in administering and distributing public resources,” they said. The bishops also wrote that international trade rules must “serve the universal common good of the whole human family and the special needs of the most vulnerable nations”. “It is counterproductive to provide agricultural development assistance on the one hand and then to use unfair agricultural trade policies that harm the agricultural economics of poorer nations on the other,” they wrote. The letter is signed by the leaders of the bishops’ conferences of Ireland, England and Wales, Scotland, Canada, France, Germany, Italy, Japan, Russia, the United States and the European Union. Email “Catholic bishops urge G8 leaders to clamp down on tax avoidance”. Feedback on “Catholic bishops urge G8 leaders to clamp down on tax avoidance”.